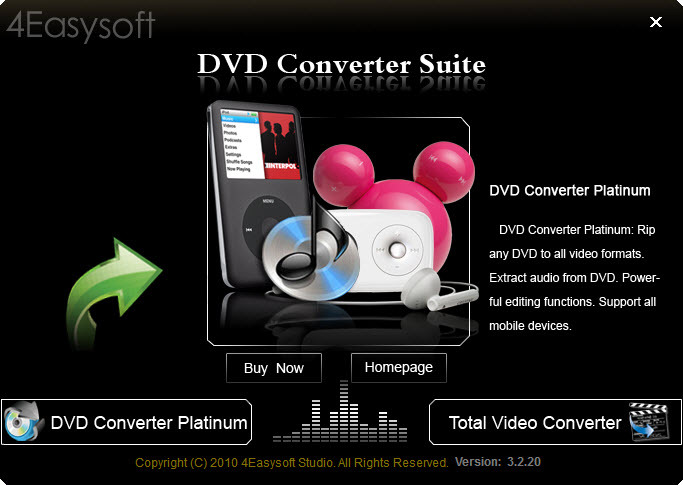 4Easysoft DVD Converter Suite provides you with the DVD ripping and video converting functions simultaneously. Actually it combines DVD Converter Platinum with Total Video Converter two splendid software into this all-in-one tool. So it can rip any DVD to AVI, XviD, WMV, VOB, WMA, MP3 and such video/audio formats. Also, it can convert between all common video formats, even HD video. 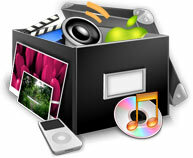 With the assistance of this DVD Converter Suite, you can enjoy your favorite DVD movie or video clips on any player. In order to enjoy fittest video on your player, 4Easysoft DVD Converter Suite is possessed of more editing functions: adjust output video effect, capture any DVD or video clip, crop the video play region, add text/picture watermark to video and join your selected files into a single one. 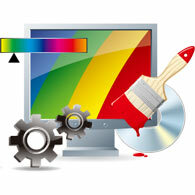 More specific codec and parameters are also provided for you to get the exact file. Composed of four brilliant software: DVD to Video Converter, Total Video Converter, iPod Manager, and iPhone Rigntone Converter, which can rip/convert DVD, convert video, and rip iPod/iPhone, even convert iPhone ringtone in all on one solution. Using the part of DVD to Video Converter, convert DVD to any video/audio formats: MPEG-4, H.264/MPEG-4 AVC, MOV, M4V, AVI, DivX, XviD, ASF, WMV, MPEG-1, MPEG-2, 3GP, 3GPP, MKV, FLV, SWF, VOB, DV, Super VCD(NTSC, PAL, SECAM), VCD(NTSC, PAL, SECAM) , DVD(NTSC, PAL, SECAM), and HD H.264, HD AVI, HD MPG, HD TS, HD WMV, HD MPEG 4, HD MOV, HD ASF video and AAC, AC3, AIFF, AMR, AU, FLAC, MP3, M4V, MP2, OGG, WAV, WMA audio formats. With the part of Total Video Converter, convert any formats including MPG, MPEG, MPEG 2, VOB, DAT, MP4, M4V, TS, RM, RMVB, WMV, ASF, MKV, AVI, 3GP, 3G2, FLV, SWF, MPV, MOD, TOD, QT, MOV, DV, DIF, MJPG, MJPEG, HD TS, HD MTS, HD M2TS, HD MPG, HD MPEG, HD MP4, HD WMV, QuickTime HD MOV, HD H.264, HD RM to the output formats the same as DVD to Video Converter. It can also extract audio from video and convert between audio formats: MP3, MP2, AAC, AC3, WAV, WMA, M4A, RM, RAM, OGG, AU, AIF, AIFF, APE, FLAC, NUT. 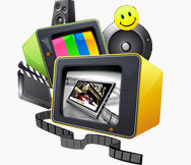 The video/audio files created by this Converter Suite tool can be enjoyed on any players: iPod, iPhone, Apple TV, PSP, PS3, Wii, Zune, Zune 2, Xbox, Xbox 360, Google Phone, Sony Walkman, Archos, Creative Zen, iRiver, BlackBerry, BlackBerry Storm, BlackBerry Bold, Palm Pre, Motorala, LG, Sony Ericsson, Mobile Phone, etc. More items are available for you to adjust: Brightness, Contrast, Saturation and volume. For your interlaced DVD movie or video file, the additional “Checking Deinterlacing” function can convert interlaced video to the progressive to avoid mosaic. With this converter suite tool, you can trim any part from your DVD disk or video files exactly set the beginning and ending time or casually drag the slider bar. With 4Easysoft DVD Converter Suite, you can conveniently select your preferred audio track and subtitle. For the well-customize profile, you can save it as the User-Defined profile for your later use. And also the pre-set profile is categorized by HD video, general video, general audio, etc. How to convert DVD/Video in one tool?